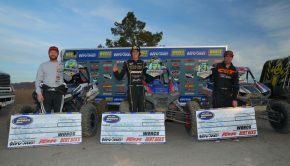 » HMF Adds 25HP to the RZR XP Turbo! 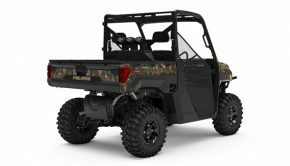 HMF Adds 25HP to the RZR XP Turbo! 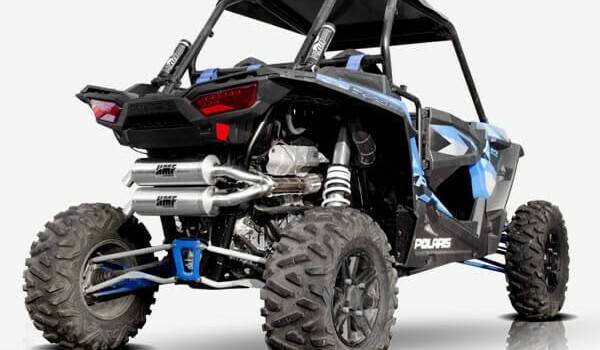 The Polaris RZR XP Turbo EPS is available as a Dual Slip On System in the Performance and Titan Series. Both the Performance and Titan picked up 5.5 Horse power and 3lb of torque. 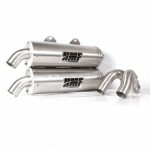 The Dual Slip On retains the original turbo and down pipe heat shields. 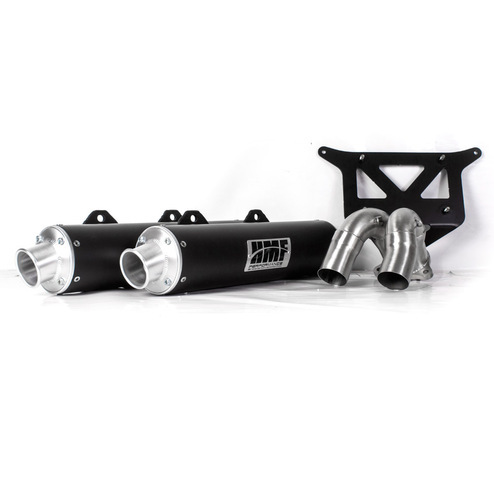 At idle, the stock muffler and Titan-QS measure at 84dB while the Performance is at 87dB. 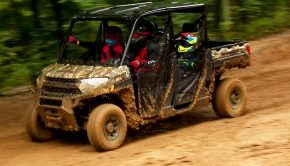 Today’s UTVs are a different breed with “Throttle-by-Wire” now commonplace, along with major manufacturers offering OEM turbochargers. Many of these newer models are capable of so much more than what the manufacturer puts in the showroom. Things like shaft savers and torque limiters can take the fun out of driving these newer rigs. The HMF ECU Flash service takes full advantage of what your machine has to offer. Fueling Adjusted for HMF exhaust sytems. 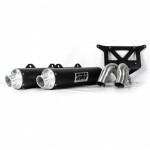 Will work with other aftermarket exhaust systems. Optimized spark timing for 93 Octane pump fuel. Speed Limiters Extended: High and Low Gears. Rev Limiters Extended: High and Low Gears. Optimized Cooling Fan On Temperature. 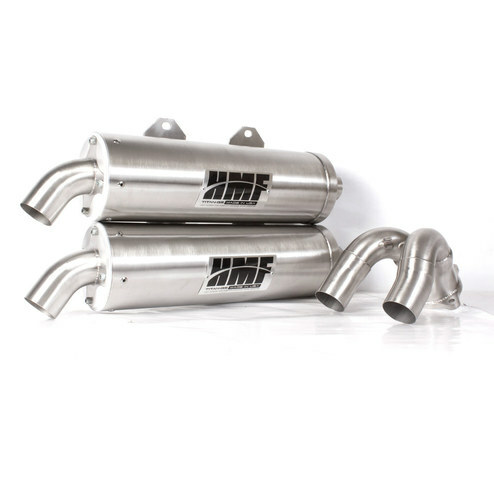 Increased boost levels for turbocharged vehicles. Linear throttle control for throttle by wire models. Changing the operating parameters in the ECU may or may not void your vehicle warranty. For more information on this contact your local dealership. HMF flashed ECUs are for closed course competition use only and may not be legal to use on government property. Check your local laws. HMF will not be held responsible for consequences incurred from using your vehicle with this ECU outside of closed course competition.